Thermal transport in graphene is a thriving area of research, thanks to graphene's extraordinary heat conductivity properties and its potential for use in thermal management applications. The measured thermal conductivity of graphene is in the range 3000 - 5000 W/mK at room temperature, an exceptional figure compared with the thermal conductivity of pyrolytic graphite of approximately 2000 W⋅m−1⋅K−1 at room temperature. There are, however, other researches that estimate that this number is exaggerated, and that the in-plane thermal conductivity of graphene at room temperature is about 2000–4000 W⋅m−1⋅K−1 for freely suspended samples. This number is still among the highest of any known material. Graphene is considered an excellent heat conductor, and several studies have found it to have unlimited potential for heat conduction based on the size of the sample, contradicting the law of thermal conduction (Fourier’s law) in the micrometer scale. In both computer simulations and experiments, the researchers found that the larger the segment of graphene, the more heat it could transfer. Theoretically, graphene could absorb an unlimited amount of heat. The thermal conductivity increases logarithmically, and researchers believe that this might be due to the stable bonding pattern as well as being a 2D material. As graphene is considerably more resistant to tearing than steel and is also lightweight and flexible, its conductivity could have some attractive real-world applications. But what exactly is thermal conductivity? Heat conduction (or thermal conduction) is the movement of heat from one object to another, that has a different temperature, through physical contact. Heat can be transferred in three ways: conduction, convection and radiation. Heat conduction is very common and can easily be found in our everyday activities - like warming a person’s hand on a hot-water bottle, and more. Heat flows from the object with the higher temperature to the colder one. Thermal transfer takes place at the molecular level, when heat energy is absorbed by a surface and causes microscopic collisions of particles and movement of electrons within that body. In the process, they collide with each other and transfer the energy to their “neighbor”, a process that will go on as long as heat is being added. The process of heat conduction mainly depends on the temperature gradient (the temperature difference between the bodies), the path length and the properties of the materials involved. Not all substances are good heat conductors - metals, for example, are considered good conductors as they quickly transfer heat, but materials like wood or paper are viewed as poor conductors of heat. Materials that are poor conductors of heat are referred to as insulators. How can graphene’s exciting thermal conduction properties be put to use? Some of the potential applications for graphene-enabled thermal management include electronics, which could greatly benefit from graphene's ability to dissipate heat and optimize electronic function. In micro- and nano-electronics, heat is often a limiting factor for smaller and more efficient components. Therefore, graphene and similar materials with exceptional thermal conductivity may hold an enormous potential for this kind of applications. Graphene’s heat conductivity can be used in many ways, including thermal interface materials (TIM), heat spreaders, thermal greases (thin layers usually between a heat source such as a microprocessor and a heat sink), graphene-based nanocomposites, and more. Grahope New Materials (GNM), China-based developer of graphene applications with a special focus on heating applications, has commercialized and is selling several types of graphene-based products, ranging from home textiles and clothes to therapeutic products. GNM has kindly sent Graphene-Info a pair of "Graphene Physical Therapy Eye Mask" for review. The Company states on its website that the mask "effectively soothes the eyes and alleviates eye fatigue", by heating rapidly and generating "far infra-red waves that are similar to the human body's". Following the news on Huawei's Mate 20 X phone that will use “graphene film cooling technology” for heat management purposes, we have now found out that the graphene producer for this Huawei phone will be China-based The Sixth Element Materials. The Sixth Element Materials will be providing the graphene product, out of the Company's current 260 tons/year capacity. However, as Huawei graphene requirements is estimated to take up almost all of TSEM's available capacity, TSEM is working on increasing its capacity to 1000 tons/year, and intends to be on stream around the beginning 2020 (but the dates are not yet finalized). Update: the graphene producer for this Huawei phone will be China-based The Sixth Element Materials. Click for more details. 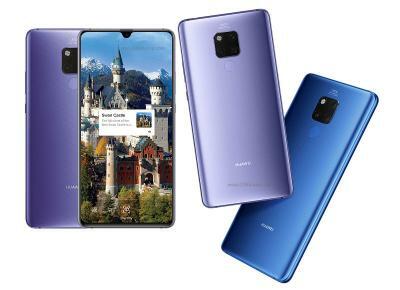 Chinese telecommunications giant Huawei has launched Mate 20 series, which includes the Mate 20, Mate 20 Pro and Mate 20 X. 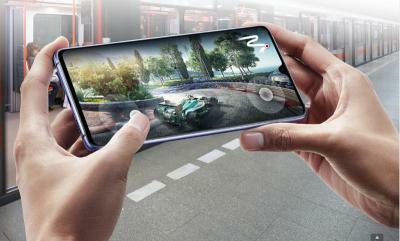 In its Mate 20 X phone, the largest in the lineup with its 7.2-inch OLED display, Huawei uses “graphene film cooling technology” for heat management purposes. Sweden-based Graphmatech develops and produces novel graphene-based nanocomposite materials, under the Aros Graphene brand. 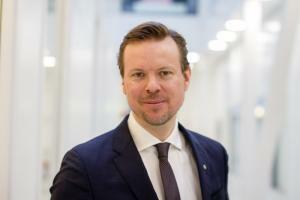 The company recently secured an investment from ABB and Walerud Ventures, and the company's CFO, Björn Lindh, was kind enough to answer a few questions we had to him. Q: Thank you for your time Björn. Can you give us a short introduction to Graphmatech's Aros Graphene materials, and how it differs from other graphene materials on the market? Graphmatech has invented the novel material, Aros Graphene that keeps most of graphene's features, while making it easy to use in large industrial scales by preventing agglomeration, which is a key challenge for the use of graphene. Aros graphene is produced in powder form and can be used as additive, as coating or even in 3D-printing. The market introduction and launch of first products, filaments and thermal paste, will be introduced to the market in 2019. First Graphene has announces the release of its PureGRAP graphene products. Over the last five months FGR’s management has worked with various universities and on its own production processes to ensure it could consistently produce a suitable range of products. The initial product includes PureGRAPH graphene products with lateral sizes of 20µm, 10µm and 5µm. Further size options are planned to be added later. FGR says that due to its unique process it is able to produce graphene with larger lateral sheet sizes if a customer should have a particular application.